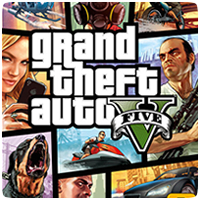 Posts tagged "Grand Theft Auto"
Rockstar has released the world’s first gameplay video for it’s upcoming open-world title Grand Theft Auto 5. The almost five-minute clip shows new footage from the game and explains Rockstar’s new take on the game, which features three protagonists with intertwined stories. Arriving in September is then highly anticipated Grand Theft Auto 5 for the PS3, and Sony has revealed a brand new PS3 bundle and custom Pulse wireless headset to go along with it. The PS3 bundle will include a 500 GB PS3 and a Blu-ray copy of GTAV, and will be available to purchase from September 17th 2013, when the game releases. Rockstar Games has released a plethora of new screenshots for their upcoming game. 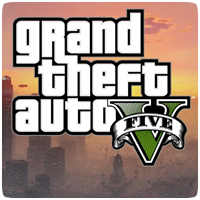 Gran Theft Auto V. In addition, new information about the game was also revealed, including character customisation options, weapons, cars and more. Earlier this week, Rockstar also released three new trailers earlier this week. 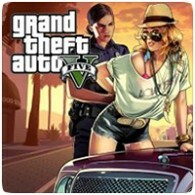 Rockstar has released the official box art for their upcoming open-world title Grand Theft Auto 5, which is scheduled for release in September 2013. The game is set to be one of 2013’s biggest games. 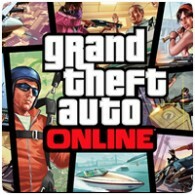 Rockstar have uploaded various versions of the cover image to their site in a variety of sizes for wallpapers, but some sizes have black space around the box art. Check out the main box art below. Rockstar has released a further 4 more screenshots for Grand Theft Auto 5, bringing the total new screenshots for this week to 10. The new set is titled “Business”. The previous two sets were titled Transportation and Leisure, and shows some of the transportation and leisure activities in the game, respectively. Rockstar have released two new screenshots from their upcoming title: Grand Theft Auto V. The new images were released as part of their Asked & Answered series on their blog. The two screens aren’t much, but show the crisp graphics and details that has gone into the game so far.